It's not just sporting firms that are capitalizing on soccer's women's World Cup, which kicks off this week. 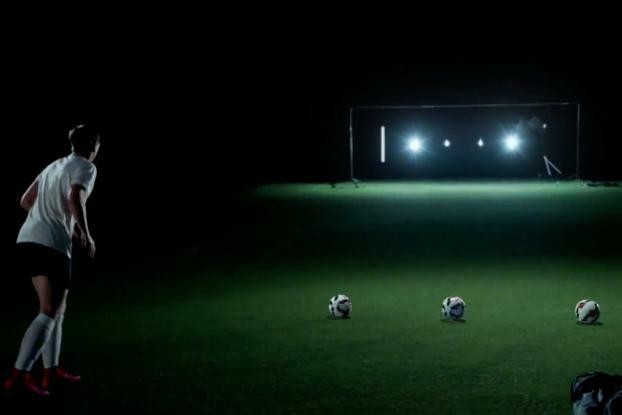 LED lighting firm Cree makes good use of U.S. star Abby Wambach (America's most prolific international goal scorer in history) in this spot, as she shows off her celebrated precision by kicking out a series of lights in a darkened stadium. The spot, by Raleigh-based agency Baldwin&, ends with the tagline "Time to end bad lighting" before Wambach switches on the better stadium lights, presumably, provided by Cree.